Short-sighted budget cuts will devastate Texas' emerging Latino majority. For Texas’ growing Hispanic community, the galvanizing issue of the 82nd Legislature was the Republican push to ban so-called “sanctuary cities.” The legislation, designated by Gov. Rick Perry as an emergency item during the regular session, allowed law enforcement to check for citizenship status. Hispanics worried that the law, with its echoes of Arizona-style policing, would open the door to widespread racial-profiling. For years, Steve Murdock, the state’s demographer under Gov. George W. Bush, had been telling anyone who would listen that Texas was heading for ruin if the state didn’t spend the money to educate its growing Hispanic population. Texas would become a poorer, less competitive state, he warned. He told lawmakers over and over—at hearings, policy forums and private meetings—about the dire consequences if they did nothing to address the gaping education and income divides. He never thought they’d make it worse. Latinos in Texas are disproportionately poor and tend to lack access to health care. Consider these numbers: At least 40 percent of Hispanics lack health insurance. 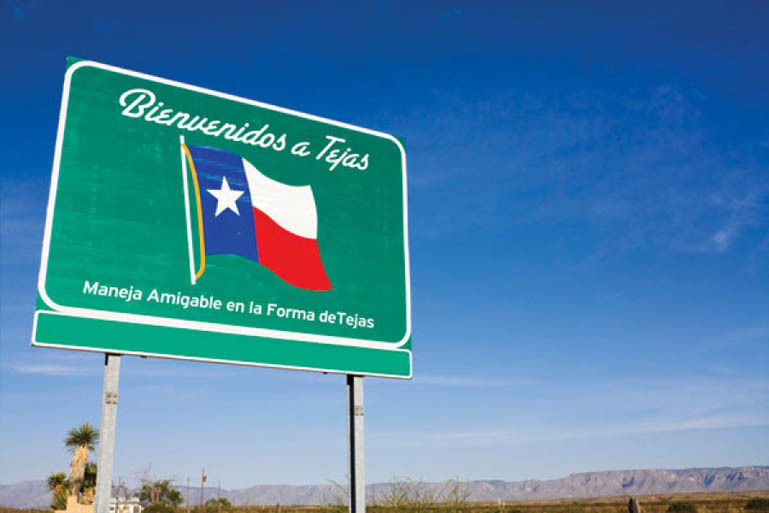 Latinos comprise 38 percent of Texas’ population, but 54 percent of its Medicaid recipients, according to the Texas Health and Human Services Commission. More than 53 percent of Texans living in poverty are Hispanic. Education is the No. 1 tool to bring them out of poverty, Murdock says. Without access to quality education, the economic gap will grow bigger. “The children of Texas are our future, and two out of every three are non-Anglo,” he says. The biggest mistake lawmakers made this session, Murdock says, was not using some of the $9 billion-plus in the Rainy Day Fund to fund education in the 2012-13 budget. Only 72 percent of Texas high school students graduate, according to the U.S. Department of Education. That’s one of the nation’s lowest rates. It’s much lower for Latinos. Hispanic students are twice as likely as Anglos to drop out of high school. Such a situation portends a poorly educated workforce in Texas’ future. A decade ago, Murdock estimated that by 2040, at least 30 percent of the workforce would lack high school diplomas if Texas did nothing to close its education gap. With the latest round of budget cuts, that number is likely to increase. The outlook for higher education could actually be worse. Partly because of Murdock’s dire predictions, lawmakers realized a decade ago that Texas needed to expand access to college. In 2000, Hispanic college enrollment was just 3.7 percent of the Hispanic population, while 5.1 percent of Anglos were enrolled. The disparity was mostly due to cost. So in 2000, the state’s Higher Education Coordinating Board created the “Closing the Gaps” program to boost minority enrollment. The goal was to enroll 5.7 percent of Texas’ Hispanic population by 2015. Last year the board reported that it was not meeting its goals. The percentage of Hispanics in college had increased to an encouraging 4.4 percent, but remained 263,000 students short of the target for 2010. “Immediately, the word that comes to mind with this budget for me is ‘selfishness,’” Villarreal told me in the House chamber. It was the last week of session, and Villarreal, recited to me the crippling cuts and losses to education, health care and other government-subsidized programs. “Next biennium, 43,000 less students will receive college scholarships, they zeroed out the pre-k education program, and Medicaid will run out of funding by late 2012,” he said. The cut that especially galled Villarreal was the zeroing-out of the pre-kindergarten Early Start Grant program for public schools. The program prepares preschoolers who speak English as a second language for kindergarten. It also helps preschoolers who are homeless, foster children, military kids and those who come from backgrounds of extreme economic hardship. From 2010 to 2011, more than 101,000 pre-k students participated in the program, according to the Texas Education Agency. Now many schools will cut pre-k programs. The majority of the students affected will be Latino. The unfairness didn’t stop with education. Legislators cut health and human service programs by 17 percent from the previous budget cycle. Some of the steepest cuts were to family planning, which had its budget reduced from $111 million to $38 million. More than 284,000 women could lose family planning services, resulting in more unplanned pregnancies that will affect Hispanic families disproportionately. Young Latinas in Texas accounted for 62 percent of the births to teen mothers in 2006, the most current year reported by the National Center for Health Statistics. Medicaid also took huge cuts. Underfunded by nearly $5 billion, Medicaid is used more by Hispanics than other Texans. Hispanic patients along the Texas-Mexico border were preparing for a double whammy, says Rep. Veronica Gonzales, a Democrat from McAllen. In addition to the $5 billion reduction, a new, state-mandated Medicaid HMO will be rolled out in Hidalgo County, where her district is located. Gonzales worries that medicaid cuts will force much-needed health-care providers out of the Rio Grande Valley. Her district is 85 percent Hispanic, and more than 80 percent of patients in the region qualify for Medicaid. State lawmakers who supported the legislation said they hoped to save an estimated $400 million, but creating the HMO district could have numerous unintended consequences that will affect the quality of life for Hispanic patients, Gonzales says. Gonzales says she found it strange that the Legislature seemed so hostile toward the state’s fastest-growing demographic. “There seems to be a push-back due to the growth of Latinos in Texas,” she says.